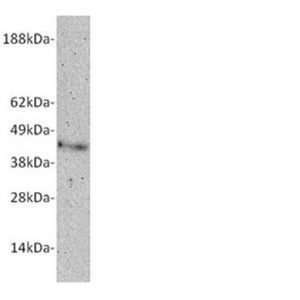 Human Complement C1q tumor necrosis factor-related protein 4 (CTRP4), UniProt # Q9BXJ3, is a 34kDa protein expressed in the brain and multiple peripheral tissues. 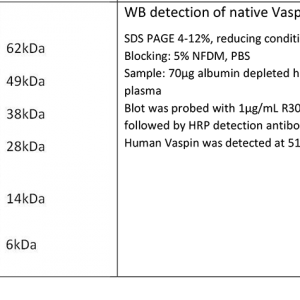 Secreted CTRP4 can form large oligomeric complexes including a ~210kDa hexamer. 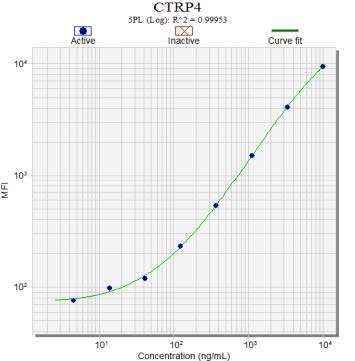 CTRP4 is highly conserved across most vertebrates with homologies to mouse, rat, and canine greater than 90%. 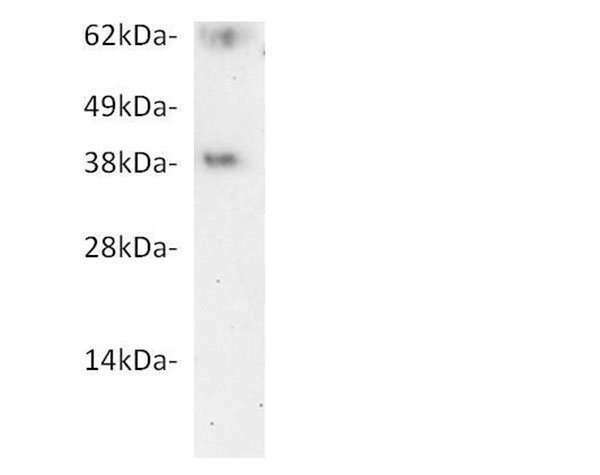 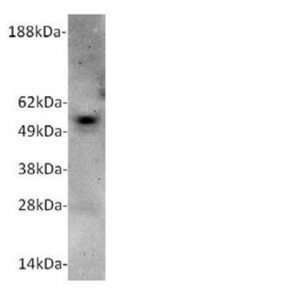 Blot was probed with 1μg/mL human CTRP4 antigen purified polyclonal followed by HRP detection antibody. Human CTRP4 was detected at 40kDa.